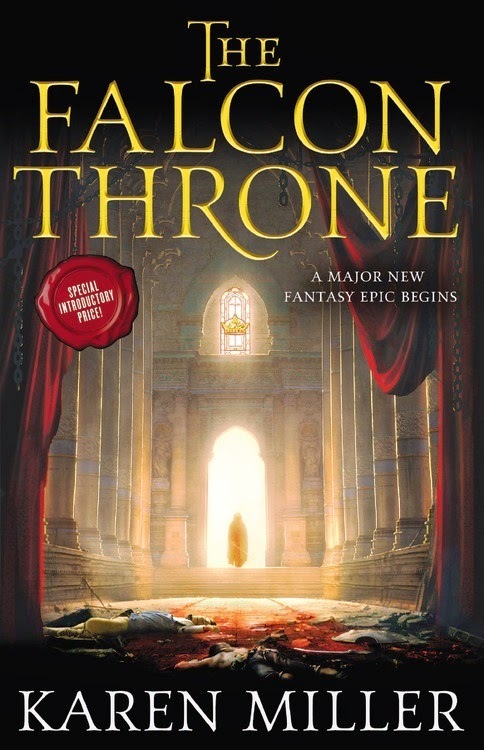 MY BOOK, THE MOVIE: Karen Miller's "The Falcon Throne"
Karen Miller's "The Falcon Throne"
Karen Miller writes speculative fiction. Mostly of the epic historical kind, but she’s also written Star Wars and Stargate novels and under the pen-name K.E. Mills writes the Rogue Agent series, about a wizard with special skills who works for his government under unusual circumstances. I suspect that most people would know Allam from his portrayal of Javert in the original London cast of Les Miserables and, more recently, his work as DI Fred Thursday in the splendid early life of Morse series, Endeavour. But for me, it was his outstanding performance as Falstaff in The Globe's production of Henry IV Part 1 that caught my attention. You can see it for yourself on dvd and I urge you to do so. It is a truly astonishing piece of theatre and I defy anyone not to be outrageously entertained. Humbert isn't a rogue the way Falstaff is a rogue, but there's just something in Allam's presence, his authority, that tells me he'd bring Humbert to life perfectly. At first glance this would appear to be lazy typecasting. Hiddleston's best known for his electrifying turn as Loki in the Marvel Universe films, and yes - Balfre is a brother who feels himself hard done-by. But he's more than that. He's a tormented soul, a man as sinned against as sinning, and while he does have a darkness in him that's not all he is. Hiddleston has demonstrated his range in other works, most notably as Henry V in the BBC's Hollow Crown series - but the moment that stands out for me is in Thor: The Dark World, when Thor calls Loki on his pretence of indifference, the illusion disappears, and we see how devasted Loki is by the death of his adopted mother. Balfre requires a great range, and Hiddleston has it. I'd never heard of Mison before Sleepy Hollow. But as soon as I saw him in that show I thought of him for Grefin. Balfre's younger brother is a good man who lets love blind him to reality. He's devoid of deceit, of malice, and it's not easy to project that without being wishy washy and dull. I think Mison has that quality in spades. I think McAvoy is one of the most astonishingly courageous actors working today. When it comes to dropping emotional defences, he is fearless. The only other actor who comes close, for me, is Michael Fassbender. Vidar is a tricky customer. Another good man who's been warped by events beyond his control, he walks a terrible line between pain and rage, honour and dishonour. I know McAvoy could illuminate him brilliantly. The thing about Roric is that he is both the wrong man and the only man for a difficult job - and he knows it. There's a kind of doomed courage about Roric that makes me love him. Evans is a really human, accessible actor. I think he'd make a terrific Roric. I was lucky enough to see Freeman as Richard III, in London. A spectacular turn. Straight away I thought of Harald, who is not a good man. Freeman has hidden depths of nastiness that would serve Harald well. Berardine is a woman of strength, of courage, and a fierce loyalty to her dead husband, her daughter, and the people they serve. Amanda Tapping is grace and integrity personified and she would bring Berardine to life perfectly. Learn more about the author and her work at Karen Miller's website. 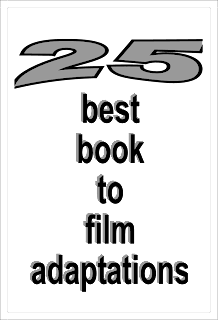 Mary Elizabeth Summer's "Trust Me, I’m Lying"
Natalie C. Parker's "Beware the Wild"
Dave Zeltserman's "The Boy Who Killed Demons"
Jeff Somers's "We Are Not Good People"
Yona Zeldis McDonough's "You Were Meant for Me"
James Ryan Daley's "Jesus Jackson"
Barry Lyga's "Blood of My Blood"
Elena Mauli Shapiro's "In the Red"
Stephanie Feldman's "The Angel of Losses"